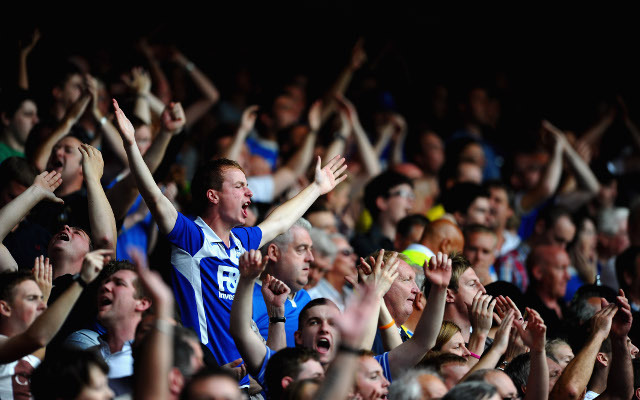 All eyes will be on St Andrew’s Sunday lunchtime as Birmingham host bitter rivals Aston Villa in the Championship. (KO 13:00). Which team will the bragging rights going into work on Monday? Following the diabolical sacking yesterday of West Brom’s manager Darren Moore, with the side handily placed in fourth place in the Championship, the Midlands faithful now turns its attention to the Second City derby as Aston Villa take on Birmingham City. Gary Monk has been doing a sterling job on the quiet at Birmingham City, with the Blues two points ahead of Villa and five points adrift of the playoffs following Saturday’s round of fixtures. They have however, won just one of their last four league games but will be hopeful of a top six finish and giving themselves an outside chance of returning to the Premier League. Villa too remain in the hunt for a playoff finish. Their top six hopes looked to be slipping away but an impressive 4-0 victory over Derby last weekend kept their slim hopes alive, and victory over Birmingham today could prove vital. Dean Smith’s side are struggling for form on the road currently, with the side on a five match winless run, however they can take confidence from the battering they gave Derby last time out. That win over Derby saw Villa record their first clean sheet in five attempts while Birmingham have conceded at least once in their last five league games. Both teams to score is 8/11 and over 2.5 goals is 10/11. The Blues have failed to beat their rivals in nine years, with their last three meetings at St Andrew’s all ending in a draw, which is priced at 23/10. Two of those draws ended 1-1 and it’s 5/1 to end that way on Sunday. Che Adams’ has been on fire this season with 21 league goals and he’s 9/2 to open the scoring and 50/1 to score a hat-trick. Villa’s Tammy Abraham also has 21 league goals to his name this season and he’s 13/8 to score anytime. There’s little to separate the two teams in the betting with Birmingham 7/4 to bag all three points and Villa are 17/10 to leave St Andrew’s with the bragging rights. One thing is for certain, though, there’s no love lost between these two sides so expect plenty of bookings and don’t be too surprised if there’s a red card shown.